Amazon Associates Cheque Pays for My Car! As simple as that! This cheque (worth around £300) will cover this month’s car payment for Jonathan. Jonathan was one of early customers who purchased my Second Income Generator 2.0 video course, only few months ago. After watching all 10 business concepts, he decided to stick with Amazon review websites as it was perfect for him, working a full time job and having very little money to invest in business. Yesterday I received an e-mail from Jonathan with his first cheque attached (scanned, not the real one! )- $471.43!!! (that’s combined for first 2 months of starting promoting Amazon.com products). 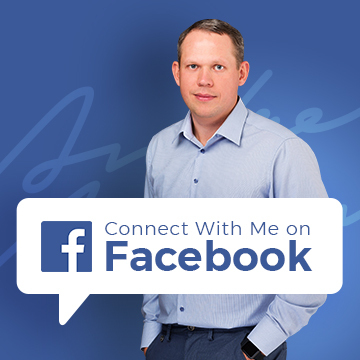 I was really impressed how fast Jonathan achieved his first income goal – earn extra money in spare time to pay for his car! Affiliate marketing is one of the most popular ways to make money online these days for regular people who don’t have time, knowledge or resources to create their own products or services. With affiliate marketing, all you have to do is send people to merchant’s website and collect commissions on sales made by your referrals. Amazon was one of the first companies online offering an Affiliate program and today it’s the World’s most successful and popular affiliate program. Amazon pays out tens of millions of dollars each year to their affiliates. Imagine, you would only need to take a small percentage of that to make a full-time income! Yes, there are thousands of affiliate programs out there, why we’re talking particularly about Amazon’s program? People trust Amazon! It’s one of the World’s best rated online brands. You won’t have to convince people that Amazon is a good place to shop online, they already know it! Most people already have an account with Amazon! Yes, this essentially means that they’ll make repeat purchases after clicking on your affiliate link. Amazon carries thousands of products across hundreds of different niches! Unlike with niche specialized online shops, Amazon sells almost everything, hence your opportunity to find hidden gems, products with low competition and high commissions! There are some additional advantages but I hope you get the point! When promoting Amazon, all you have to do is warm up the visitor – Amazon will take an excellent care of selling the item! It’s not like with Clickbank websites or other eCommerce shops people see for the first time. They’re familiar with Amazon and this will significantly increase your conversions and affiliate earnings. 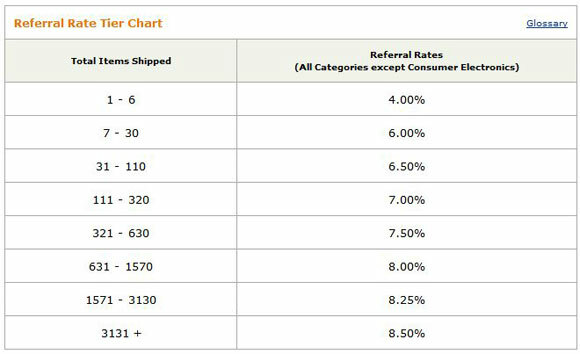 How much Amazon pays affiliates? It depends on volume, the more sales your traffic generates, the higher your commission rate will be. Starting rate is 4% but once you sell 7 items, it increases to 6%. Rate goes all the way up to 8.5% if your traffic generates 3131+ sales per month. This is calculated on a monthly basis and data is reset on 1st day, every month. You may think, what – only 4%? Yes, it may not sound that much BUT remember, it’s only for first 6 items, from 7th item you’ll get 6%! And that’s not all – when you promote Amazon products, you can expect very high conversion rates. I regularly achieve 10%+ conversion rates for my Amazon review websites. That means every tenth visitor that clicks on my Amazon link, actually makes a purchase. And that’s for products in 100$+ range, conversion rate will be even higher for cheaper products. What’s the best way to pre-sell physical products? By creating product reviews! Essentially, what you will be doing is basic product promotion. Unlike simple 200-word product descriptions and reviews, you’ll need to produce UNIQUE, high-quality and comprehensive reviews that would provide a buyer everything he needs to know about the product in order to convince him/her to buy it. This may sound like a simple strategy and in essence, it is. However, in order to be successful, you’ll need to put in work. Why? Because in order for people to visit your page, you’ll need to provide them with content they will want to read and they won’t be able to find anywhere else on the Internet. While there are thousands of people trying to make money with Review Websites, only small percentages of them put enough work into this and create VALUABLE reviews! Most people want easy money, they copy content from Amazon, other reviews, put together a quick website and expect to make millions. That’s not how it works I’m afraid! You really want to work hard on product reviews you create, add VALUE to them and make them interesting to read. If you do this, you won’t have to use any other marketing gimmicks as people will TRUST your reviews and make those commissioned orders! Let’s use one of my own Amazon review sites as an example – I created this review website last year and haven’t actually touched it since then. BestBabyMovementMonitors.com – as the name suggests, it’s a review website about baby movement monitors. There are only 20 or so pages and posts on the website and it took me about 2 weeks to set-up everything. 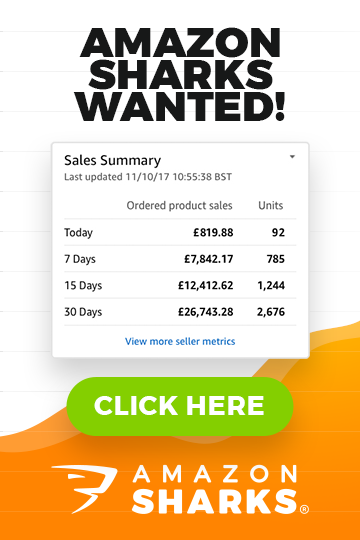 This small website generates me $200+ each month in Amazon affiliate commissions and this number is growing each month goes by. Best part is that I do not have to work on it at all; it’s all auto-pilot income! Step 6 – start making money! To learn more about this money making model and 9 other online business models, check out my Second Income Generator 2.0 video course! I also got 2nd cheque from Amazon.com. But the problem is that I have to open a foreign currency account in order to deposit the cheque and according to the Bank representative 50-70% of total amount would be deducted for transaction. Is there any way I can contact Amazon.com so that I can receive payment through Telex Transfer as there is no such information on Amazon.com after I sign in nor did I receive any email from them. As far as I know, they only send commissions via cheques. But you could contact them and ask directly. Interesting post and nice site you have for the monitors. Couple of questions that I have bern trying to figure out over the past few weeks. Can we build sites to specifically promote our ebay products and ecomm websites, what would be the best way, 3rd party blogspot or wordpress blog? Secondly can we have a blog linking to our specific listings or can’t we link to specific item listings and earn affiliate commission from our own stuff? Do you recommend a free blog like blogspot for promoting affiliate products or is it a waste of time because I have read google can delete a blogspot in a second for no real reason. This site is so helpful thanks. I’m not sure whatever you can link to your own products via affiliate links – I think you can but you will have to check this in affiliate program T&Cs. I know for sure that you can’t BUY your own products via affiliate link, that’s against their rules. Best platform to build such blogs is WordPress.org (your own hosted version), no one can take it away from you as you own the site. I am wondering if there is a way getting any comissions by buying items from Amazon myself? As I am spending around 1.5k each month there. Thanks for ideas your blog keeps me working. Thank you so much Andrew Your advices are GODL value! Also it would be great if you could share you experience with us what is the best and most effective ways (what really works besides rich reviews there) to promote Amazon Affiliate website. reviews are really BEST way to promote Amazon products. The better the review, the higher conversion rates you’ll see. And I’m not talking about generic reviews here, they don’t work anymore! You really want to do an in-depth review of product, give VALUE to your readers if you want to make this work. The more you put in, the more you’ll get out of this. and I need to provide him with my amazon affiliate ID, API key & Secret Access Key. So I am wondering how I will get those amazon affiliate ID, API key & Secret Access Key if I still do not have website with content? It is a joke! Also – it is better to register Affiliate program with my current email/account or is better to create new one for Affiliate program only? Yes, Amazon first wants to see your websites before you can join their affiliate program. It’s a common practice for most affiliate programs and I don’t see anything wrong with that. You can still build your website, add products, reviews and everything else! Once website is ready, sign up for Amazon affiliate program and get your affiliate links, add them to your website. This is actually better from SEO point of view too – it’s better to establish your website a bit before you start adding affiliate links to it as otherwise Google may see your website as low value – built for sole purpose of promoting affiliate programs. I am wondering when SIG will be able for us again? As it is SOLD OUT for now. As well are you planning to offer us more products like this one in the near future? I do not have plans to re-open SIG in near future. Maybe in 2nd half next year, not sooner. I saw your website about baby movement. Looks like you need to be very creative to create something like this. I’m not sure it is dome thing I can lift off. Also this is amazon.com. Is it not worth thinking doing Amazon.co.UK? I like this as and idea for passive income. Does it still work? Well, creativity always helps when you start a new business, right? You really just need a good idea, that’s it. Graphics, website you can outsource to professionals. That’s what I did with my baby movement monitor website too. Yes, this system can also be applied to Amazon UK too. Enjoying reading your stuff, learnt heaps. Amazon has chnaged something I’m guessing. I have the basics of my site set up, with a few posts etc. But what i’m not sure on is how to go about getting organic search results. Any tips on this? Or it just a case of build it and they shall come. It’s all about publishing high quality & regular content. When you do this, traffic will come and increase as time goes by. And by high quality content I really MEAN it! Content that is valuable to your readers – like decent reviews, charts/tables, latest news, buying guides etc. etc. And along the way, you should also work on building some quality back-links to your website – start with your social profiles (Facebook & Twitter & YouTube) and add blog commenting, forum posting and content share (Squidoo, Hub Pages etc.) sites as yo move on. Thanks a lot for your valuable advice and experience. I want to open a small online shop;for selling some books and other products. Should I use open cart or wordpress for building it? WordPress is not really meant to be used for a fully featured online shop. Open Cart is not bad but carries range of other problems. Hello again Andy, i’ve just started my first affiliate site. I don’t have much knowledge in this area, but am going to see how i do at it. Was a good read. Good Luck with the new venture Liam! You mean traffic expense? Nothing! All traffic comes from organic search results (mostly Google). Did you create the whole website or just the technical part? ie, does Una (the mother) exist and she wrote the About section or you can just get some pictures and create that section yourself? And, as Ben mentions, the site looks fantastic. Is there a site/software where you can design the banners and get the pictures you’ll need, for example of babies in this case? Yes, Una is my wife and exists in real life 🙂 So those are real pictures, with my daughter and wife featured in them. Wow, so well put all together Andrew. Congrats for the result (and the lovely family! 🙂 ), success well deserved there! Many thanks for the links, sometimes I want to get some graphics for my personal blog but didn’t know how. I’ll check that out. Your site is essentially a sniper site isn’t it! Although I have to say, it’s very well put together – It looks fantastic! Yes and no. Sniper sites usually have EMD and only few pages of content. In this case, it’s more like a small authority site.